All geared up to create a dent in the eCommerce sector? So, you are geared up to sell online? Irrespective of the fact whether you sell products or services, you simply cannot deny the robustness and exemplary features of Shopify – the e-commerce solution which you should ponder. It is apt for SMBs and established businesses and satisfies an extensive range of businesses. Shopify is by far the easiest eCommerce builders which helps retailers and businesses a great deal so that they can operate their e-store easily. To add to it the process is direct and trouble-free. So today we’ll be looking at this platform right from the scratch. Moreover, if are absolute sure that this is the platform which you are looking for then this is the article for you. Digital product or service and not illegal to sell online. If you have a look at their sitemap and check out “eCommerce by Industry”, you will get to see the entire list of prevalent businesses using their platform. These vary from art to coffee, e-books to guitars, and shoes to home ware. 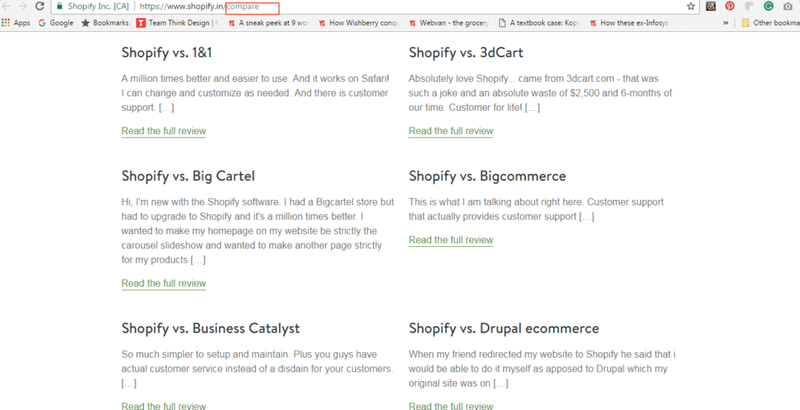 Saying it in a different way – Shopify is a one stop shop to sell almost everything! There are retailers who operate an offline store as well. And if you are one amongst them then do not worry as you are still eligible to sell on Shopify. You will be able to amalgamate and accomplish your entire sales and catalogue system in one position with the help of Shopify’s Point of Sale (POS) System. Shopify has a very flexible pricing plan and this gives businesses of all sizes an advantage to use the platform to the best of their skill and knowledge. 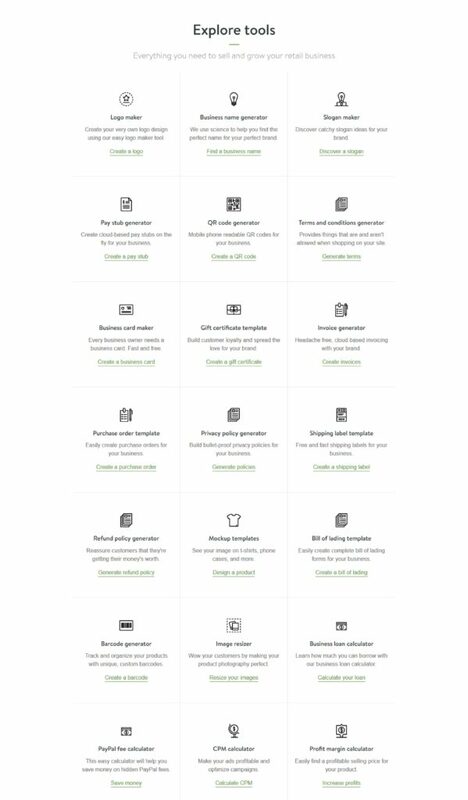 The plans that are provided by Shopify exclude the setup fees however it includes unlimited product uploads and file storage, 24/7 online and phone support, no bandwidth fees, and no transaction fees when you use Shopify payments. However, if you use credit cards to make payments then the rate will depend on the plan that you will use. The best part of these plans is that you have the provision to add website prototypes/templates and apps from the Shopify store. And you get choices between free and paid options. The plans which Shopify offers are month to month however if you sign up for annual or biennial plan then you will have to upgrade accordingly. Also, you should know that you can upgrade, downgrade or even cancel your plan anytime. Thinking of buying a domain and an email hosting as well from Shopify? Well that is not possible and you will have to use either Go Daddy or Hostgator. If you love discount and are always ready to grab it then pay an upfront cost and get – 10% discount on an annual plan and 20% off biennial plans. 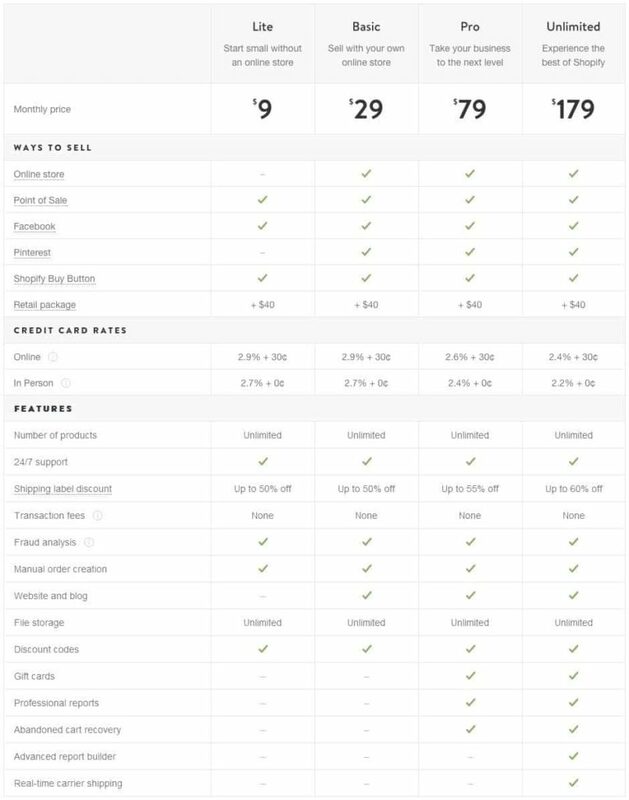 If you are trying to compare the experience of doing business with Shopify and other platforms, then head straight towards the sitemap section and check out the Comparisons part. With the help of testimonials given by customers it had become easier for vendors to understand the benefits of Shopify as compared to other websites. The testimonials are from users who have shifted their business from other platforms to Shopify. The platforms include BigCommerce, Magento, Amazon Webstore, and 3dCart. As discussed previously the advantage of doing business or selling on Shopify is the Shopify POS. This gives benefit to businesses who own a physical store locations as it helps in synchronizing their online and offline sales. So ideally you will have to manage just one system instead of two. Check out the images of Comparison pages. 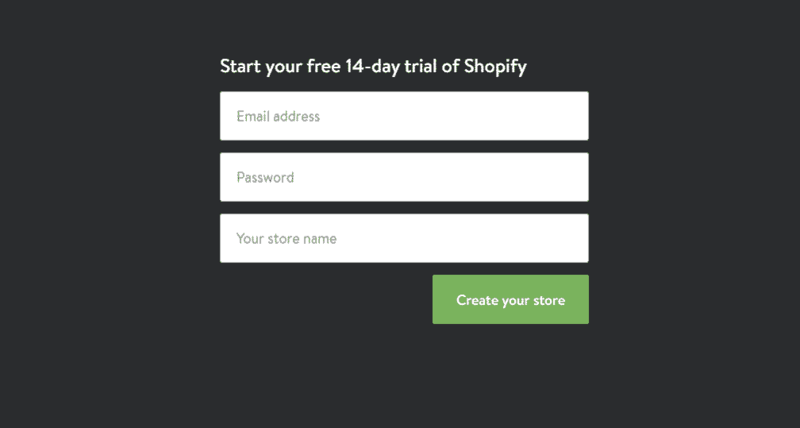 Once you create an account with Shopify you get a 14-day free trial. Just like any other sign up here also the first and foremost thing that you will do is enter the email, password and create your account name or store name. Enter the details and make sure that your store name is a part of your store’s URL. Although you can alter this later it is still better to keep the name as simple as you can such as xyz.myshopify.com. Trying avoiding multiple words or jumbling the words or else the name would end up like xyz-product-service.myshopify.com. Difficult to remember and too lengthy hence bad choice. 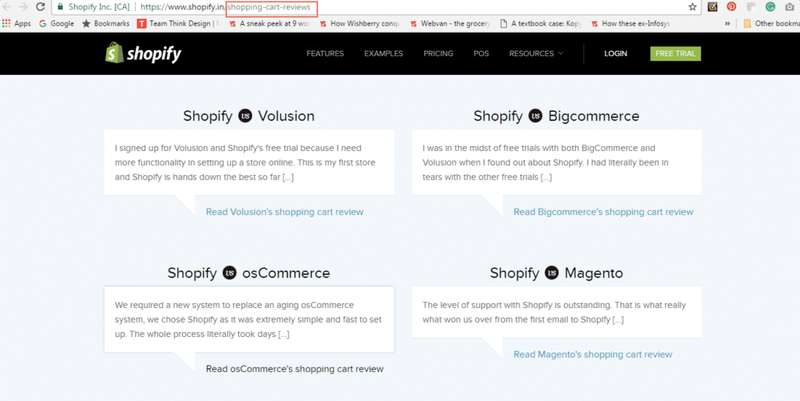 In case you have no intention of redirecting a URL from the main domain (such as store.yourdomain.com to xyz.myshopify.com), then in that case you will surely need to keep your store name/URL in mind. Once your account gets created you will have to move to the next level of entering the basic details such as – name, address and phone number, what you are selling and if at all you’ve had any revenue generated so far then enter the revenue as well. You will now be headed towards the dashboard of your account and this is where you will have to pay special attention. This is the most important part of this article and the following seven steps will serve as guide for you. The left panel gives you access to multiple options and at the center you will see the option of selecting the plan and adding a product. We have already discussed about plans so now let’s jump to Adding Products and other options. How to Add your products. This is the first step and very crucial. In case of physical products, you will have to either manually enter them or bulk upload from excel or CSV file or even get them imported from platforms like Magento and eBay. In case of digital products, the first thing that you have to do is install an app digital product delivery and after that you will have to add your products using that app. Check out the online manual to learn more about the sales of digital products. If you are among-st those sellers who sell services, then you will have to use an app which is called as Product Options. This gives you the privilege to tweak or customize the services that you offer. The best part of Shopify is that you can have up to 100 variations per product. The variations will fall under three options such as size, color, and finish. you can add bulk product entry in Shopify easily. How to Customize your design. How to Set up your domain name. How to Set up shipping and tax rates. Shopify would like to know whether you have added shipping costs and taxes to your products or not so in this section you will have to choose to add them. The rates are to some extent basic initially and depending on what you intend to sell you will have to tweak the options. How to Set up payments. The part that is very important for every business is here. This is the second most important step after adding your products. It is better to keep it clear on how will your customers pay you. For entrepreneurs based out in USA, Canada, and UK the payments can be accepted with Shopify Payments which facilitate credit cards without the need of setting up a third-party payment gateway or merchant account. Furthermore, Shopify has also integrated with different payment processing services such as PayPal, Amazon Payments, and Google Wallet. Go through the settings meticulously. A lot of the fields will be pre-filled while you are completing the steps above but still you will have to add your Google Analytics code, store title, and store description in the section of general settings. All right you are all set to kick start. Once all the details are filled and you have added products and payment methods you can make your store public. Make sure to do it because till then, it will be password protected. Till the time the store is password protected you can do some testing to check the functionality. However, you have to ensure that you have done all the testing thoroughly otherwise the customers will find out the loopholes or flaws. Undoubtedly the platform is robust and simple to use. Make sure you have studied it thoroughly and utilized it to the best of your business. So, what do you think of it do let us know.